ILLUSTRATION: NOAH KROESE: Double Financial Comic Rainbow! I know. 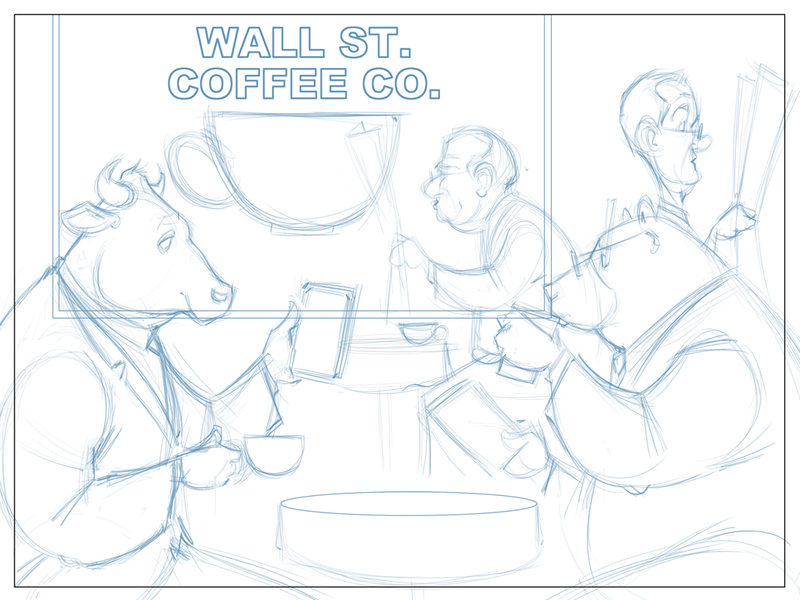 It's been a long time since I did a financial comic, right? Well, to partially make up for that, I did two this week. 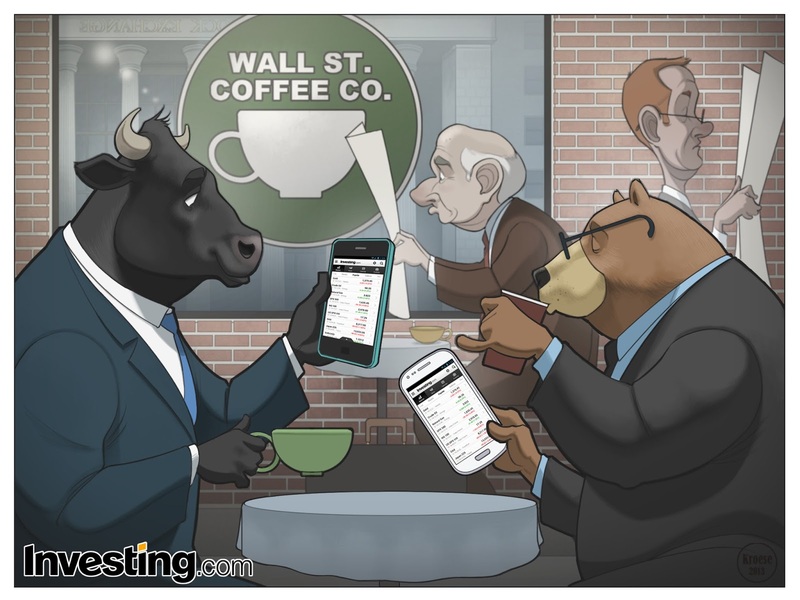 Both have to do with the Investing.com app. 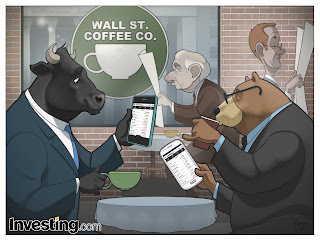 The first comic needed to show a bear and bull sitting outside at a Wall Street coffee shop looking at the Investing.com app on their phones while customers in the background read newspapers. 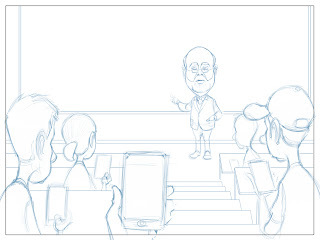 The second comic needed to show Ben Bernanke as a professor writing some financial information about the Quantitative Easing programs on the board while his students check the Investing.com app on their phones. Most of the time, I like the sketch to be great. 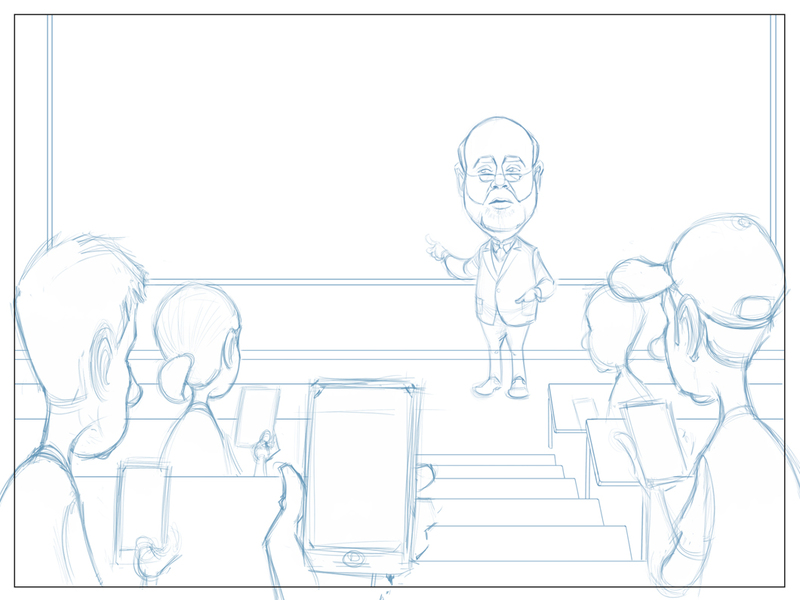 If I'm not particularly enthusiastic about the sketch, it's hard for me to be excited about the rest of the illustration. And I wasn't exactly loving this sketch. It just seemed boring. 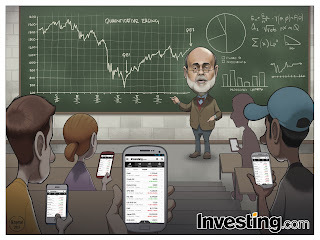 And after adding some cool little details (Bernanke's little professor glasses, leather patches on his elbows, the chalkboard writing and the glow of the phones on the students' faces), this became one of my favorite financial comics. 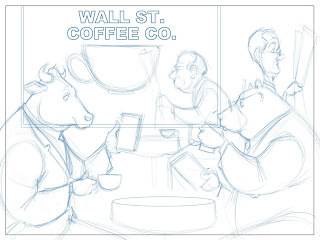 And that's saying something, considering this comic is the 55th comic I've done for Investing.com/ForexPros.